Here at Peninsula, we have the best people to make complete dentures. When all of your teeth are already missing, complete dentures works best to replace them as well as the tissues that surround it. Complete dentures are usually made once all of your teeth have been extracted and the tissues within your gums have healed. We offer two types of complete dentures: “immediate” and “conventional”. With our team of experts, we can have this type denture ready in two to three months post teeth removal. Ideally, the gums should totally heal first before placing the denture. We make sure that our measurements are accurate enough to avoid more adjustments in the future. We also use quality materials in our dentures to guarantee that our clients will be able to wear it for a significant length of time. 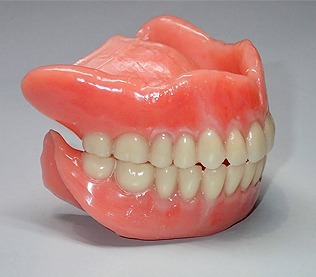 We also specialize in making immediate dentures. From the name itself, we can give have your dentures places right after teeth extraction. We can make it ahead of time, so you will not have to remain without teeth for throughout the time of healing. This type of denture is regarded as a short-term solution during the process of healing. As the gums shrink following the removal of teeth, several adjustments need to be made to make it fit throughout the period of healing. Our clients definitely have a choice between immediate and complete dentures. Those who value aesthetics could opt for immediate dentures and wait until conventional dentures are ready. While those who value practicality and savings could go for the conventional dentures and wait for a little while. Regardless of your choice, we can assure that you will get the best service possible. All of your teeth are missing. Dental implants are not suitable due to various reasons like the following: financial constraints. Cancer inside the oral cavity that has resulted to loss of tissues – such situations do not permit the placement of complete dentures. We take our job seriously. Soon as you visit our clinic, we can identify what type of appliance or denture is perfect for you. The entire process takes several weeks or appointments. We will conduct a series of impressions on your month and jaw in order to measure the space. Our team will them form models out of plastic/wax patters copying the exact position and shape of the inside of your mouth. This will be the base of the denture. The model will then be tried numerous times and assessed for shape, fit and color prior to the casting of the final denture. Once the denture is casted, several adjustments will be performed as required to ensure that the denture will have the right fit. We do not want our clients to suffer from ill fitting dentures by paying much attention to detail. That is our promise to all clients. Looking for a dental clinic on the Mornington Peninsula that can determine whether Full Dentures are the most suitable option for you and your dental health? Contact us today on (03) 5981 2255 or book online peninsuladentalcare.com.au for a consult so that we can assess your suitability.